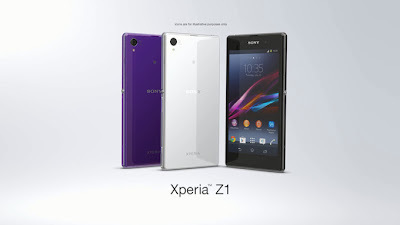 This smartphone from the house of this Japanese Electronics Giant is code named as Sony Xperia Z1. Camera has always being an integral part of the smartphone & now the big players in the smartphone market are betting big time on it. The Samsung Galaxy S4 Zoom took the lead, followed by Nokia Lumia 1020 & now Sony Xperia i1 Honami. Though all of the above vary in camera mega pixels but the selling point for each smartphone is their camera. Sony Xperia Z1 Honami is a 4G / LTE smartphone and it sports a 5 Inch Triluminos TFT Capacitive touch screen with multi touch upto 10 fingers. This smartphone has a IP58 certificate (Ingress Protection), now that means Sony Xperia Z1 Honami is dust proof & can be dipped upto 1 meter of water for 30 minutes. The display boasts of Sony Mobile BRAVIA Engine 2, which gives you better picture quality in terms of contrast, colours & sharpness, at the same time when you watch videos on this smartphone it cuts down some unwanted sounds (especially needed when you are watching online videos). The front panel is protected by shatter proof & scratch resistant glass which adds some muscles to this smartphone. The Full HD display of Sony Xperia Z1 Honami features resolution of 1080 x 1920 Pixels, ~441 ppi pixels density, 16 M Colours. Dimensionally this smartphone measures 144 x 74 x 8.5 mm (5.67 x 2.91 x 0.33 in), it weighs 170 gms (6.00 oz) which is a bit on a heavier side & this smartphone will be available in three flavours Black, White & Purple. On the display front this smartphone is loaded generously & technically it is no less. Sony Xperia Z1 Honami holds under the hood a Quadcore 2.2 GHz Krait 400 Processor, Qualcomm MSM8974 Snapdragon 800 Chipset, Adreno 330 GPU, 2 GB RAM. Now that makes it a desirable configuration as this will be efficient in multi tasking & paradise for a gamer. This smartphone comes out of the box with Android OS v4.3 (Jelly Bean). Sony Xperia Z1 Honami packs an internal memory of 16 GB with an support upto 64 GB microSD card. The data connectivity aspect of this smartphone features Wifi, Wifi Direct, Wifi HotSpot, DLNA, NFC, Bluetooth v4.0 A2DP & ANT+, microUSB v2.0 (MHL), USB On-the-go. To find your direction on the Google Map this smartphone packs GPS with support for A GPS & GLONASS. The selling point of Sony Xperia Z1 Honami will be its primary camera of 20.7 MP with LED Flash light, auto focus, geo tagging, touch focus, face detection, image stabilisation, HDR, sweep panorama, video stabilisation. This primary shooter is capable of clicking images of resolution 5248 x 3936 Pixels & record HD videos of 1080 P @ 30 fps. The secondary camera is of 2 MP which can also record HD videos of 1080 P @ 30 fps. Now this will definitely give a brilliant video chatting experience. Sony Xperia Z1 Honami packs a non removable Li-ion battery of 3000 mAh.